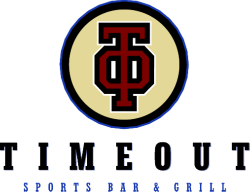 Locally owned and operated, Time Out Sports Bar & Grill, Inc. was established in Manitowoc, WI in December of 2004. Time Out replaced the former Desert Jack's which was known as "the place with the airplane in the roof". We serve lunch and dinner 7 days a week and offer many daily specials. Our family-friendly bar and grill can easily accommodate large groups and private parties. Our full service island bar features 24 draft beers including many local craft brews.